Dr. Truong Ton Hien Duc (David) earned his Ph.D. in industrial engineering from Korea Advanced Institute of Science & Technology (KAIST), Korea. He joined Universiti Brunei Darussalam in May 2014 as a lecturer. 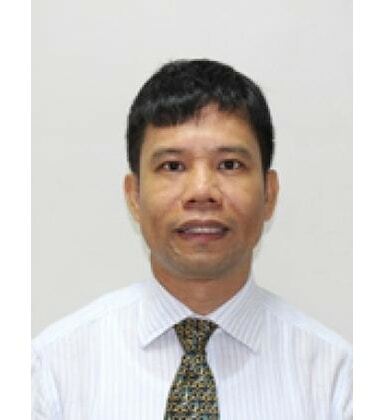 Previously, he worked at HoChiMinh City University of Technology (Vietnam) as a lecturer; at CircleOne Company (Korea) as a senior consultant; at Singapore Institute of Manufacturing Technology (A STAR, Singapore) as a research scientist; and at the Sirindhorn International Institute of Technology (SIIT), Thamasat University (Thailand) as a lecturer. He has more than 15 years of experience in teaching, researching and consulting in time-series forecasting, inventory management, facility layout, warehouse management, operations management, supply chain network design, and supply chain management. He has a number of refereed publications including many in supply chain management (especially in bullwhip effect, supply chain contract, etc.) and in new product design. His current research interests are investigating the relationship of marketing and operations management. Loi NT, Duc TTH, Buddhakulsomsiri J., 2015. A computational study of risk-averse parameter effects on a 2-stage supply chain coordination under refund-dependent demand. Proceeding in IEEE Third International Conference on Artificial Intelligence, Modeling and Simulation, Malaysia, 2-4 Dec, presented. Mishra P, Yuan XM, Huang G, Duc TTH, 2014. Intermittent demand forecast: Robustness assessment for group method of data handling. Proceeding in International Conference on Industrial Engineering and Operations Management, Indonesia, 7-9 Jan, 338-347. Withanage C, Moon SK, Park T, Duc TTH, 2013. Application of dynamic value-attribute modeling in a product family. Proceeding in International Conference on Engineering Design 2013, Korea, 19-22 Aug, 49-58. Withanage C, Park T, Duc TTH, Choi H, 2012. Dynamic partial least square path modeling (PLSPM) for the front-end, product design and development, decision support. Journal of Mechanical Design 134(10), 100907-1 - 100907-14. Withanage C, Park T, Duc TTH, Choi H, 2011. Exploration of product value – characteristic relationship: Partial least square path modeling for product design and development. Proceeding in IEEE International Conference on Industrial Engineering and Engineering Management (IEEM) Singapore, 6-9 December, 733-737. Duc TTH, Luong HT, Kim YD, 2010. Effect of the third party warehouse on bullwhip effect and inventory cost in supply chains. International Journal of Production Economics 124(2):395-407. Duc TTH, Luong HT, Kim YD, 2008. A measure of bullwhip effect in supply chains with stochastic lead time. International Journal of Advanced Manufacturing Technology 38(11-12):1201-1212. Duc TTH, Luong HT, Kim YD, 2008. A measure of bullwhip effect in supply chains with a mixed autoregressive-moving average demand. European Journal of Operational Research 187(1):243-256. Training Project Management Skills for 4 cohorts with 95 participants of the Executive Development Programme for Middle Management Government Officers (EDPMMO) (04.2015 – 11.2015), Brunei Darussalam. Investigating and Improving Raw Material Inventory System for CEI Contract Manufacturing Limited Company (02.2012 – 08.2012), Singapore. Adaptive Manufacturing Capacity Model for Lean Production & Document Management Control to Improve Operational Visibility and Efficiency for Liang Huat Company (04.2010 – 04.2011), Singapore. Business Process Re-engineering and Information Technology Planning for Maha Chemical Company (10.2009 – 01.2010), Singapore. Analyzing Business Opportunities and Establishing Distribution Channel as well as Warehouse Management System of Motor Spare Parts for SKNetworks Company (12.2007 – 10.2008), Korea. Analyzing Risk and Developing Negotiation Strategy on Al Hasaa Energy City (ALEC) Project for SK Group Company (11.2007-12.2007), Korea. Trainning Statistical Quality Control for Beer Vietnam Company (2004), Vietnam. Investigating Export Barriers in Some Industries of Vietnam, 2003 – 2004, HCM City People Committee, Vietnam. Training and Consulting in Productions and Operation Management, Lean Manufacturing at Samyang VN Company (2003), Vietnam. Trainning Statistical Quality Control for ThanhCong Textile Vietnam Company (2003), Vietnam. Analyzing Costs and Benefits of ISO 9000 at Some Selected Companies in HCM city, 2002 – 2003, HCM City People Committee, Vietnam.